A Talk by Adam Kleinman and Raimundas Malašauskas. A Talk About Talking. Please come and join Raimundas Malasauskas and Adam Kleinman, two former agents for dOCUMENTA (13), and more importantly roommates during this “epic summer” for some ruminations on the the nature of this, and other large scale exhibitions, 3am kitchen conferences with in town guests, and spending time together in the introspective little world made in Kassel that summer. Following this talk, that is, in the most part about talking, the two will introduce a film screening of Pierre Huyghe’s “The Host and the Cloud”, 2011, a work shown in the context of dOCUMENTA (13), and directed by one of its participants, advisors, and more importantly, friends. Born in New York City in 1978, Adam Kleinman is a writer, curator, and lecturer based in and out of Rotterdam. 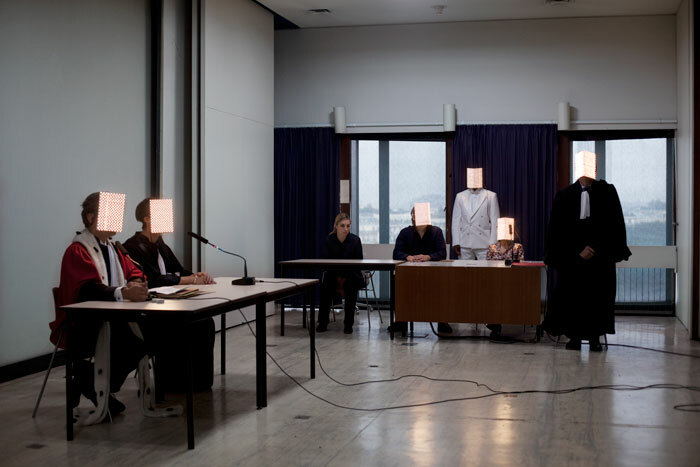 Recently, Kleinman was dOCUMENTA (13) Agent for Public Programming. Previously, he was Curator at Lower Manhattan Cultural Council (LMCC), where he created the interpretative humanities program “Access Restricted.” Kleinman also developed LentSpace, a cultural venue and garden design by Interboro Partners, which repurposed an entire vacant Manhattan block. There, Kleinman curated “Avenue of the Americas” (2010) and “Points & Lines” (2009). In addition to these activates, Kleinman is a frequent contributor to multiple exhibition catalogs and magazines including Agenda, Artforum, e-flux journal, Frieze, Mousse and Texte zur Kunst. Raimundas Malašauskas, born in Vilnius, is a curator and writer. From 1995 to 2006, he worked at the Contemporary Art Centre in Vilnius, where he produced the first two seasons of the weekly television show CAC TV, an experimental merger of commercial television and contemporary art that ran under the slogan “Every program is a pilot, every program is the final episode.” He curated “Black Market Worlds,” the IX Baltic Triennial, at CAC Vilnius in 2005. From 2007 to 2008, he was a visiting curator at California College of the Arts, San Francisco, and, until recently, a curator-at-large of Artists Space, New York. In 2007, he co-wrote the libretto of Cellar Door, an opera by Loris Gréaud produced in Paris. Malašauskas curated the exhibitions “Sculpture of the Space Age,” David Roberts Art Foundation, London (2009); “Into the Belly of a Dove,” Museo Rufino Tamayo, Mexico City (2010), and “Repetition Island,” Centre Georges Pompidou, Paris (2010). His other recent projects, Hypnotic Show and Clifford Irving Show, are ongoing. The event will take place in Venclovas’ house-museum (Pamėnkalnio st. 34, Vilnius).